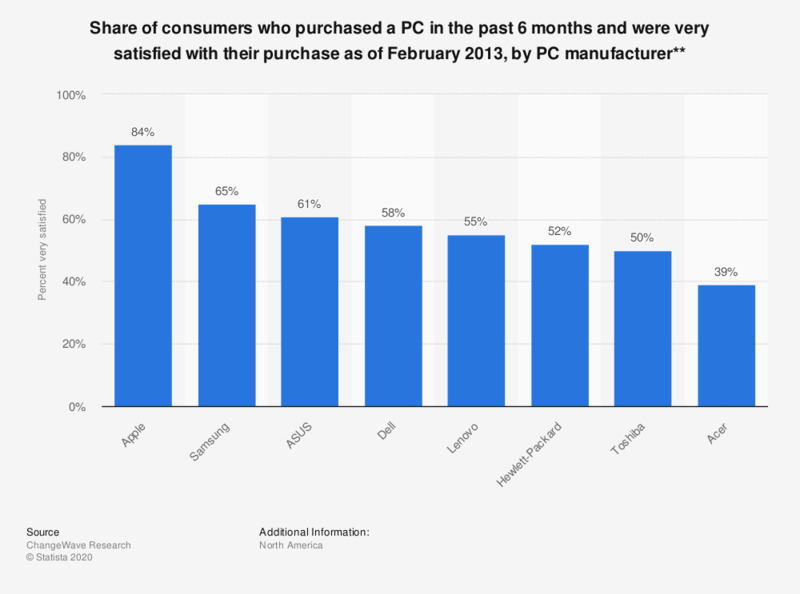 This statistic shows the share of North American computer customers who reported being very satisfied with the computer they bought over the past 6 months as of February 2013. Apple customers were most likely to report satisfaction, with 84% reporting being very satisfied. *The source did not provide information on the exact dates that the survey was conducted, or the method for collecting results. **Subjects were asked their level of satisfaction with the computer they bought over the past 6 months.